NEGROMANCER 2.0: Sony Acquires Film Rights to Image Comics' "A.D.: After Death"
Sony Acquires Film Rights to Image Comics' "A.D.: After Death"
Josh Bratman of Immersive Pictures will work alongside Eric Fineman at Columbia to produce the film. Bratman is also developing Lemire and Dustin Nguyen's comic series DESCENDER into a feature film franchise. A.D. is set in a future where a genetic cure for death has been found. One man, years after the discovery of the cure, starts to question everything, leading him on a mind-bending journey that will bring him face-to-face with his past and his own mortality. 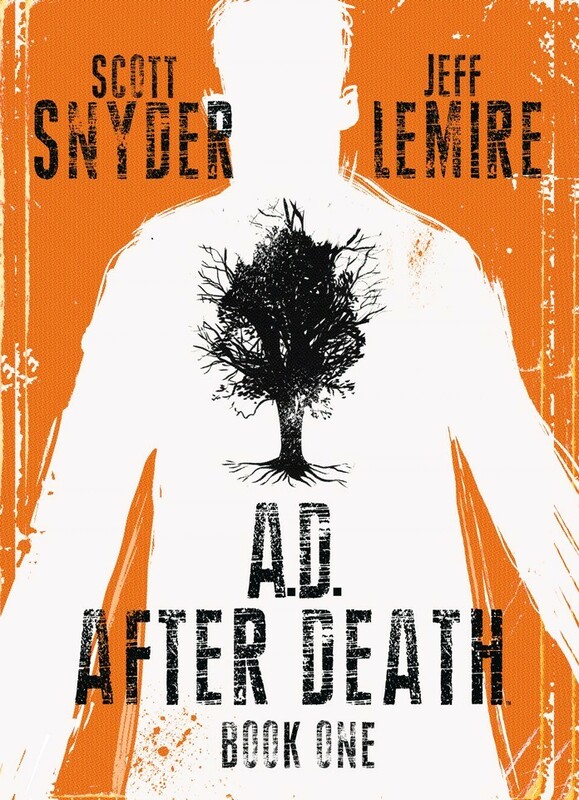 A.D. is the first project Snyder and Lemire, longtime friends and both acclaimed and bestselling comic creators in their own right, have worked on together. This is the first project Lemire has illustrated that he has not also written. Book 1 was published November 2016, with Book 2 available December 21, 2016. Snyder is a New York Times bestselling author and an Eisner and Harvey Award winning writer (AMERICAN VAMPIRE with Stephen King, SWAMP THING, BATMAN). His short story collection, VOODOO HEART, was published by Dial Press in 2006. The collection received starred reviews from Publishers Weekly and Booklist, and was a Kirkus Reviews "Hot Debut" of the year. WYTCHES, his creator-owned Image Comics graphic novel series with illustrator Jock, is under option at New Regency with Plan B producing. Lemire is a New York Times bestselling author and the creator of the acclaimed graphic novels SWEET TOOTH, ESSEX COUNTY, THE UNDERWATER WELDER, and TRILLIUM. Having won the American Library Association’s prestigious Alex Award—recognizing books for adults with specific teen appeal—and having been nominated for multiple Eisner awards and Harvey awards, Lemire currently writes the monthly adventures of MOON KNIGHT (DC Comics), THE X-MEN (Marvel), and his creator-owned ongoing DESCENDER (Image Comics). The rights to Lemire and Emi Lenox's PLUTONA at Image Comics have been acquired by Ken Kao to produce as a feature film. Lemire's graphic novel trilogy ESSEX COUNTY is under option to Canadian production company First Generation Films with Christina Piovesan producing as a TV series.